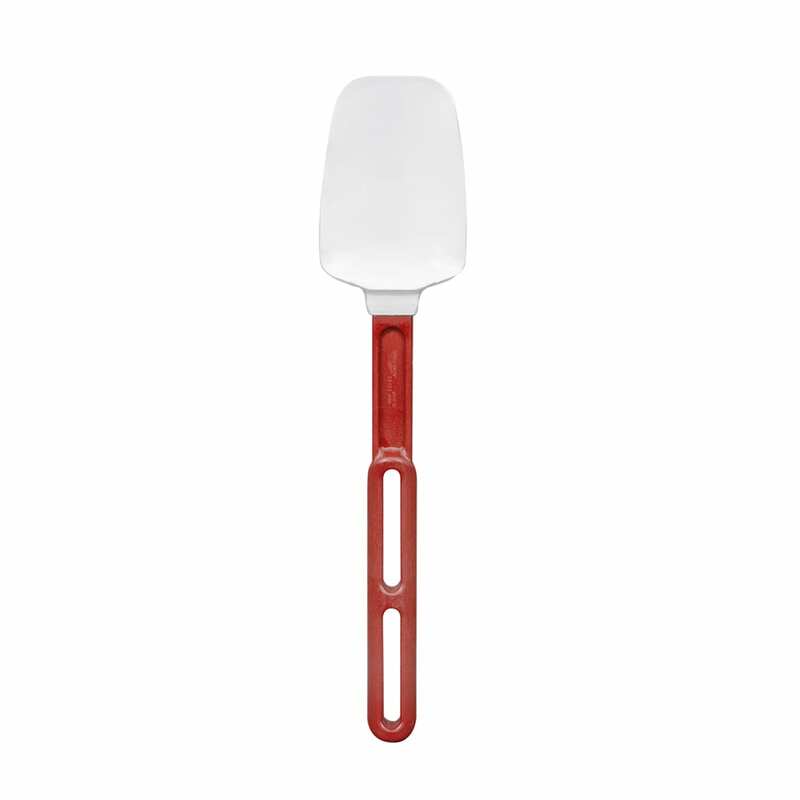 The Vollrath 58123 SoftSpoon™ spatula scoops product out of bowls and containers with its spoon-shaped blade. 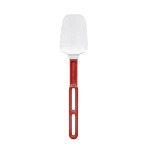 Since the blade will not scratch surfaces, it works well with non-stick cookware. Elevated off the counter by nubs, the blade is protected from contamination and is molded to the handle to eliminate cracks and crevices.